What are the aims of CODART? CODART aims to bring together individuals from all types and sizes of museums, with the goal to promote and encourage the exchange of expertise, works of art and exhibitions of Dutch and Flemish art worldwide. It works to raise awareness of the artistic heritage of the Low Countries internationally, by supporting the curator in his profession, by expanding knowledge about Dutch and Flemish masters, and by making their works visible and accessible to a large international audience. What does CODART do for museum professionals? CODART organizes various network opportunities, such as annual congresses, study trips and CODARTfocus meetings. Each congress and study trip is devoted to a theme illustrating the spread of Dutch and Flemish art in the world. CODARTfocus meetings concentrate on a special exhibition or research subject and are organized by members. Focus meetings took place in Vienna, New York, and Yasnaya Polyana (Russia), among others. CODART publishes a digital magazine two times a year, the CODART eZine. The CODART website provides essential information for and about curators. What does CODART do for the public? Through its award-winning website, CODART provides the public with the most comprehensive portal on the Internet to Dutch and Flemish art in museums. 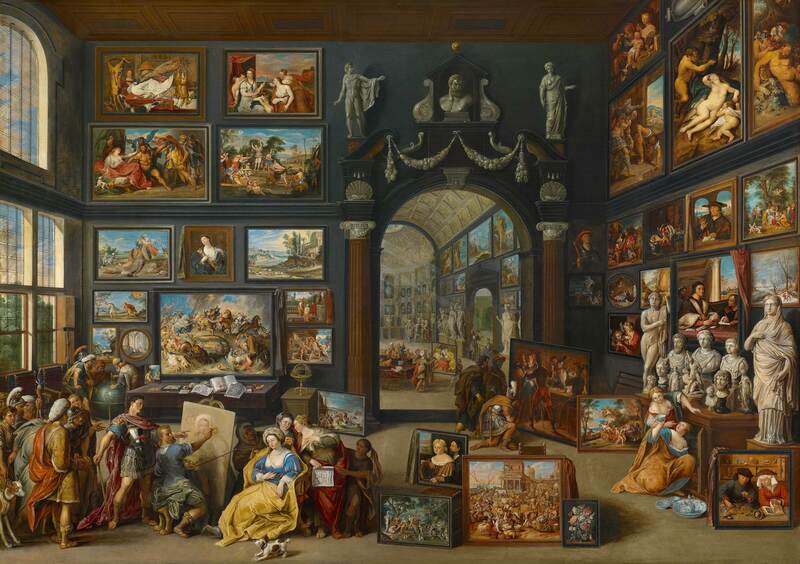 The website identifies and provides links to the websites of all the museums in the world with significant collections of Dutch and Flemish art. It also has a calendar of exhibitions on art from the Lowlands. The scope of information on www.codart.nl is unique. Visitors to the site can sign up for a free e-mail Notification Service that informs them about the opening and closing dates of exhibitions and other events, as well as about news on acquisitions, job changes and other museum information concerning Dutch and Flemish art. See our page on frequently asked questions about Dutch and Flemish art. What have been the main achievements of CODART? According to our many active members, CODART has provided a unique platform for curators of Dutch and Flemish art. The annual congresses have added a personal dimension to the contacts between colleagues that has enhanced their pleasure in their work as well as increased their efficiency the year round. At the congresses a number of significant discoveries have been made, thanks to the sharing of information among specialists. Bilateral plans and strategic alliances have come into being that would not have existed without CODART. Our study trips have helped to bring peripheral collections close to the mainstream of the museum world. A number of special exhibitions have come into being only because CODART decided to visit a particular museum. Museum curators from Central and Eastern Europe have been enabled to increase dramatically their possibilities for contact with colleagues in the west and with each other. The website is a model resource of its kind. For a complete list of previous CODART congresses and study trips, the participants and the network supporting them, see CODART Events. What is the significance of CODART? In the words of the Netherlands government Arts Council (the advisory board for culture to the Dutch government): “CODART plays a seminal role in the […] field of Dutch and Flemish art. Through its activities, CODART makes an important contribution to research into Dutch and Flemish art, opening up collections and bringing curators of collections together. […] CODART makes a significant contribution to the government’s internationalization policy, which strives – among others things – towards greater mobility of collections.” Thanks to cooperative ventures within the CODART network, a number of exhibitions have been conceived and implemented in various countries, and these have drawn many visitors.